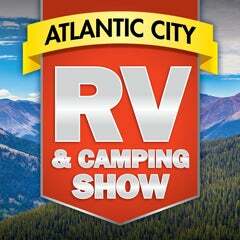 AN RV SHOW FOR RV ENTHUSIASTS! MANY MAKES AND MODELS TO CHOOSE FROM! Featuring the very latest makes and models of recreational vehicles from all the nation’s top manufacturers. Special factory rebates, financing, and on the spot loan approval makes this show a cannot miss for the serious RV enthusiasts! That’s not all……The show will feature all kinds of industry vendors, along with campgrounds, tow vehicles, and everything you may need for your next RV vacation. Each ticket is valid for one day only. No exchanges or refunds. Same day re-entry allowed with hand stamp.